Making your business solar powered makes perfect sense. Ever-rising energy costs are putting an increasing strain on company profits throughout Australia, and even putting some out of business. The introduction of carbon tax has only made this worse. If your business plans to stay in business for many years to come, installing commercial solar power could be your smartest business decision. 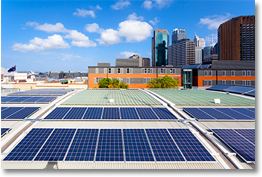 Benefits from commercial solar systems that are more affordable than ever before. Invest in the future of your business today. Choose the right commercial solar power system, and it will actually produce enough power for you to eliminate a large percentage of the energy component of your bills. If your business is interested in ‘going solar’, you will want to know and understand the numbers. Your will want to see proof you will get massive savings from your investment for years. Once the cost of the system has been paid back via the savings made, the cost of your business’s power will be dramatically reduced. Protecting your business against future energy increases now! You will still need to pay service and network charges to be connected to the grid. But if you choose the right solar power system, you could offset a lot of the power usage component of your bill. Investing in commercial solar for your business today will lock in energy costs that can be easily measured against the finance used to install them. Remember, businesses that don't get commercial solar installed now could be at a massive disadvantage, as in years to come their competitors will be producing their own energy and their running costs will be less. You can reduce your power bills by ‘going solar’ and installing a solar panel system in your business. This will immediately eliminate a percentage of your energy bill, and save you money. 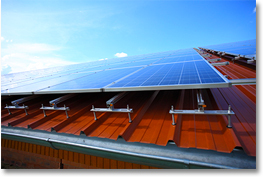 Solar panel systems are often described in terms of the amount of electricity they are able to generate, which is measured in watts or kilowatts. 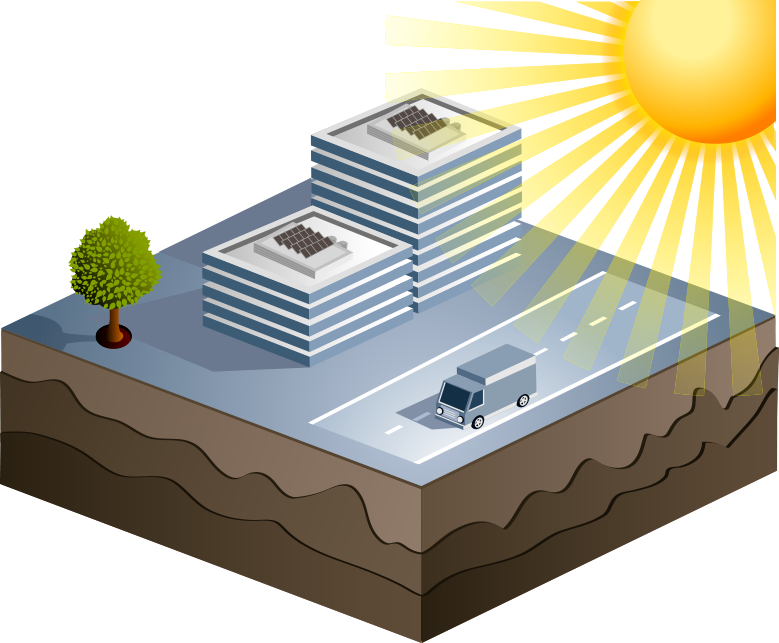 If you are curious about solar and want to get a better understanding of it, take a look at How does solar work? Solar systems use photons from the sun to create a chemical reaction that causes electrons to move, producing DC power. This power is either used at the time of production or fed back into Australia’s electricity grid. If the power is fed back into the grid, you will receive payment through feed-in tariffs (FITs). The amount you save depends on where you live and how you use your power. Some states in Australia have highly attractive FITs, but in others they are on the verge of disappearing. The amount of time it takes to be awarded credits will depend on how much your solar panel system cost, and how much power you use. 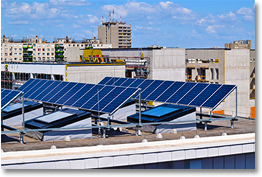 Why should I get solar energy for my business? Rising energy costs are causing all manner of problems for small and large businesses all over Australia. But while everybody is aware of these costs, nobody really knows what to do about them. But there is a way out for the savvy business owner who wants to take the bull by the horns and invest in a solution that will save a fortune for decades to come. Solar energy makes economic sense and could be the answer to many struggling businesses throughout Australia. Increased network charges and higher electricity production costs have meant the price of power has soared in the last five years. Carbon tax has increased the cost of using fossil fuels even further. The only straightforward way of reducing your power bill is to start producing your own energy. The good news is that solar panels have dropped dramatically in price over recent years thanks to growing interest and improved technology. ‘Going solar’ is now affordable and attractive to companies who are looking to reduce their power bills now and for years to come. 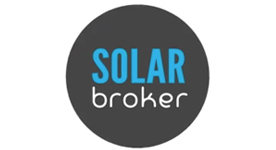 Solar Broker is dedicated to educating you and connecting you with the best solar installers in Australia, and getting you the best prices. Solar Broker is proud to be part of a network of experienced solar panel installers. By letting us help you out, you will have peace of mind knowing all aspects of your solar system installation will be handled by a knowledgeable and trustworthy solar company, and that you will be charged a fair price.